How does OCA contribute to the community? OCA has always believed in working for their community, and has done so by providing scholarships, internships, leadership workshops, as well as working to educate people about other advocacy issues. 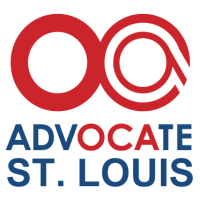 Let us know what issues are concerning you and contact us at info@oca-stl.org or at the national office at 202-223-5500. *National Board (NB) – Chaired by the National President, the National Board is the policy-making body of the organization. National Board members consist of chapter presidents and representatives, in addition to the Executive Council. * Chapters – The heart, soul and backbone of OCA are founded in its local members. 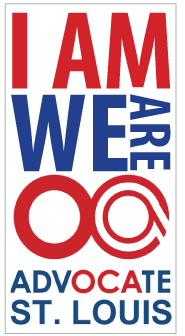 With over 80 chapters and affiliates which make up over 10,000 members across the country, OCA members are the true reflectors of our mission. With the strength and dedication of our membership, OCA can continue fulfilling its mission and work in the Asian Pacific American Community. * Executive Council (EC) – Chaired by the National President, the Executive Council (comprised of 12 voting members and two non-voting members) is responsible for the implementation of policies and programs. Council members are elected by the National Board, with the exception of the General Counsel (who is appointed by the President), the Executive Director, and Immediate Past President. – Founded in 1980, the Business Advisory Council is comprised of key representatives from major corporations located around the country. The BAC helps OCA promote an awareness of Asian American culture as well as career opportunities for Asian Americans within corporate America. The BAC meets several times a year to discuss participation in OCA’s programs and activities. – Some chapters have established groups for its younger members. OCA-Young Professionals is comprised of young Asian American professionals in their twenties and thirties. Young OCA groups are for high school students. – OCA formed the College Affiliates Program in 1994 to establish relations with the burgeoning Asian Pacific American student organizations on college campuses. The program is open to any student organization that subscribes to OCA’s goals and mission. Any organization with concerns common to the OCA may apply or be invited to become an affiliated organization with approval by the National Board upon recommendation of the Executive Council. – The Endowment Fund was established to provide OCA with long-term financial stability and is managed and administered by a Board of Trustee. The interest generated from this fund goes towards OCA’s operating budget. – OCA continues membership in organizations such as the National Council of Asian Pacific Americans, Leadership Conference on Civil Rights, the National Immigration Forum, and the National Network Against Anti-Asian Violence. – The Business Member category was established for businesses interested in being an OCA member on the national level. The category is limited to those businesses with 100 employees or less so as not to conflict with membership in the Business Advisory Council. Local chapters may also establish a business member category as well. How does one become a Young Professional? Some chapters have established groups for its younger members. OCA-Young Professionals is comprised of young Asian American professionals in their twenties and thirties. Contact your local chapter to see how you can participate. What is a College Affiliate? OCA formed the College Affiliates Program in 1994 to establish relations with the burgeoning Asian Pacific American student organizations on college campuses. The program is open to any student organization that subscribes to OCA’s goals and mission. Any organization with concerns common to the OCA may apply or be invited to become an affiliated organization with approval by the National Board upon recommendation of the Executive Council. Please see our College Affiliates Program for more details on how to apply. Where is OCA located (locally and nationally)? We have 50 chapters located around the US. Look under our chapter section to find the one nearest you. Does OCA offer any scholarships? Yes, OCA offers different types of scholarships such as the AXA, UPS, and Verizon scholarships to outstanding and deserving APIA students. Look under our scholarship section for details and deadlines. What are the requirements for working at OCA? There are no special requirements for working at OCA. We encourage all to apply. What events does OCA hold that I can participate in? Does OCA offer internships? Will I receive school credit for it? What is Image Magazine, and how do I get a copy? IMAGE magazine is an OCA publication sent to all its members containing updates with OCA legislative priorities, programs, and issues. Join today to get your free copy! Why should I become a Member of OCA? By becoming a member of OCA, you become part of the OCA family, consisting of over 80 chapters and affiliates across the country. You would become part of a national network that works together to ensure that the issues of all Asian Pacific Americans are not being compromised, and unify the Asian American community. Does OCA only work with certain Asian groups? OCA does not discriminate. Many of our leaders in various chapters are Vietnamese, Japanese, Filipino, Burmese, and Thai heritage thus we are not only about one ethnic group. Our goal is to embrace the hopes and aspirations of nearly 13 million Asian Pacific Americans in the United states.